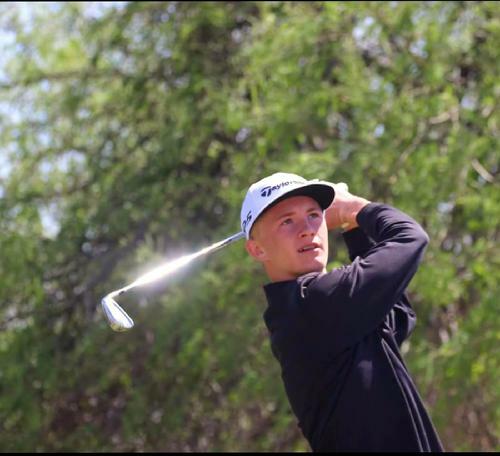 I am a well rounded player with focus on my academics as well as my desire to play College Golf - I am continually growing both physically and mentally, I feel good about my character and passion. I was born in CO and lived there until I was 10 yrs old, playing all over the CO area in many CJGA, RMJGT and US Kids Golf tournaments, even in the snow. 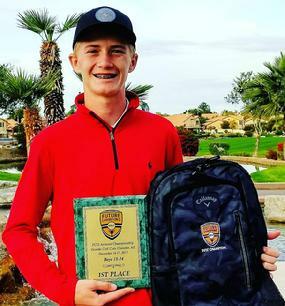 I moved to AZ and absolutely love it - playing JGAA, Future Champions, AJGA coming up in 18, winning many of those tournaments and learning from the Tournaments I did not win. - My #1 focus is my grades, currently have a 3.4 GPA in 8th grade, heaading to Brophy Prep in the fall of 18'. - Work ethic is strategic with my coach and dad, we measure all data on Trackman. - 67 is my lowest score, it was while at Pinehurst, NC participating in the US Kids WOrld Championships, I placed 6th. - I have been playing tournament Golf since the age of 5 years old. Currently I am the 2nd ranked player in the state of AZ for the graduating class of 2022 with 10 Top 10 finishes out of 16 tournaments throughout 2017. 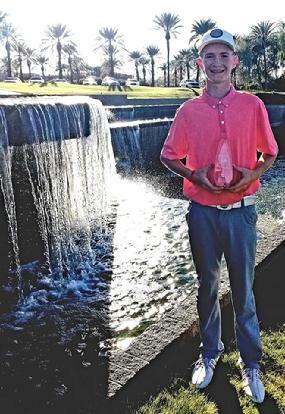 - Currently ranked in the Top 75 for all boys in the graduating class of 2022 for Junior Golf Scoreboard rankings looking to climb that ranking quickly to get back inside the Top 20 in 18'.